Norman Vale invested 35 years of his professional life in international management. When he left Grey in 1990 as the Managing Director International, annual turnover was U.S. $2.0 billion in comparison to $150 million when he began in 1974. For 11 years, he was the first Director General of the International Advertising Association which experienced quantitative and qualitative growth during his tenure. The IAA became a world-class organization of advertisers, agencies, media and other marketing communications professionals. Over his entire international span, Vale was "consultant" to advertisers, agency management, heads of government, ministers, parliamentarians, educational institutions and diverse group of volunteers at all levels. He is a conceptualizer, strategist, creator, implementer with insights and imagination across the most diverse range of challenges. Most important, Vale is a listener and business leader with a clear understanding of results and the bottom line. Balance that with lecturing at Columbia, Wharton, NYU, Fordham, Northwestern, St. Johns at the graduate level and dozens of universities throughout the world. Vale has lived in Germany, Puerto Rico and Spain; speaks Spanish and is comfortable in the business and social cultures of 100 plus countries. 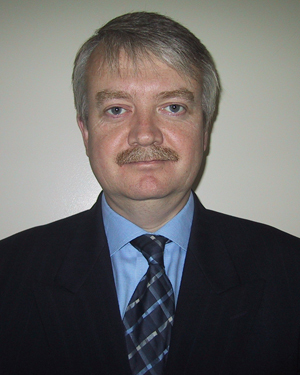 A Managing Partner of Vale International, Jorg is responsible for creating the "Future Empowerment" program. 40 years in international marketing communications make him one of the few experts to understand the needs of advertisers and agencies. His expertise covers a wide range of consumer goods, food, cosmetics, healthcare, durables as well as general advertising, health care, media, direct marketing and integrated services. Jorg became a specialist in client acquisition, agency networking and best practices through his extensive involvement in agency selection and services for global clients. His thesis on "International coordination of advertising agencies in Europe" was the first academic paper of its kind and put him in touch with leading agencies and networks; it also was a precursor to joining Grey Advertising. At Grey Jorg covered positions such as Managing Director, European New Business Director and later EVP of Grey International. He provided in-depth consultancy and advice on global communication and branding to Procter & Gamble, BAT, Block Drug, Timex, 3M, Revlon and Mars. In addition to leading global strategies and teams, he is dedicated to raising quality standards in national offices. He co-authored a Grey European handbook on "Marketing and Media Planning" and also created the Grey Academy, one of the most recognized institutions for the training and advancement of practitioners in advertising. Apart from his native Germany, Jorg has worked on all continents and also lived in the US, the UK, France, Switzerland and Spain. As a result, he is multi-lingual and multi-cultural. He thrives on challenges and has one of the best success records in the industry. Peter is a UK chartered accountant with a career spanning 27 years spent largely in the marketing communications sector. He started his career working for Interpublic Inc. Conducting audits and due diligence in 38 offices internationally within the McCann-Erickson and Lintas networks. He joined Grey in 1991 and over the next 11 years he gained considerable managerial experience in various operational and group roles rising to the position of CFO Europe, Middle East & Africa covering a region which generated revenues of $500 million. Over the past ten years Peter has worked in a number of other senior UK and international roles including CFO for Lowe London and Lowe International. He also spent several years as group finance director on the board of a LSE listed public company and devoted considerable time to M & A activity and related fund raising as well as on-going analyst and institutional shareholder interaction and relationship building. While working with managers of large and small enterprises from many countries and cultures, Peter has accumulated in-depth knowledge of M&A, raising capital, general management and latterly e-business models. He has used that knowledge to develop growth strategies and then executed growth plans. 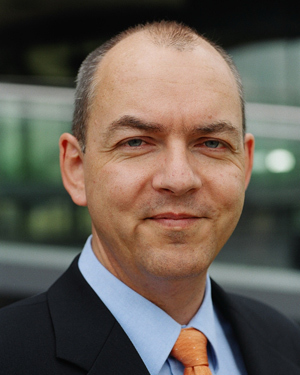 Dirk is a lateral (business) thinker who spent 15 years in executive positions on the trading floor of Deutsche Bank, Swiss Bank (now UBS) and ABN Amro in Germany and London. In 2007 Dirk founded Novello Group GmbH which engages in business development and smart financing (“refunding”) for small and mid-cap companies. Dirk’s current focus is on electro-mobility as one of the fastest growing global markets involving patented technologies and new financing models. Additionally, he works directly with or for strategic investors in the field of communications, energy, and real estate. His engagement in real estate is a direct consequence of long experience in capital and financial markets. Dirk’s excellent network is one of his biggest business assets. Dirk is the founder of the Intelligence Competence Center AG, developer of the first and only internet job search engine. He also served on the board of directors of a Germany-based media company and was responsible for the last IPO before the internet bubble burst in 2001. Furthermore, he was a professor at the University of Applied Science in Darmstadt (Germany) for three years with focus on financial markets and competitive intelligence. Gunnar is a Renaissance man with in-depth experience as an advertiser, advertising agency CEO, banker & venture capitalist in Sweden. After earning his Masters in Marketing Communications at the University of Stockholm, he spent one year on an invitational scholarship at California State at Long Beach prior to joining Electrolux for five years as Marketing Manager. Gunnar moved to Grey Sweden where he spent a meteoric 20 years as Deputy Manging Director, Managing Director and Chairman of the agency's development from a small, national agency to number one in the country with several subsidiaries and specialist operations. He was directly involved in the day-to-day operations on Procter & Gamble, General Foods, Master Foods, Stafford-Miller and Volvo. Most interesting during his Chairmanship, was his role to identify and evaluate agencies for potential partnership in the Grey Scandinavian network. From 1992 he served as an Executive Vice-President of FSB, the largest Swedish retail bank in charge of Corporate Communications that included all areas of communication as well as Investor Relations and Public Affairs. In addition, Gunnar co-managed the Bank's IPO on the Stockholm stock exchange raising more than $1 billion, the majority in the US market. 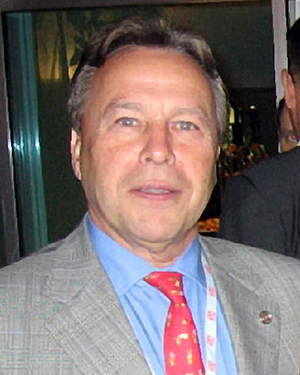 Presently, Gunnar is Chairman of a vencap company specialized in technology and service industry investments. Cedric’s 35 year career has spanned the globe. A marketing and communications specialist he excelled, as an international ‘flying fireman’, in restructuring and reengineering agencies, implementing changes in business culture, redesigning organizational structures, formalizing and revitalizing human resources and training programs. In short, he is an expert in advertising agency operations. His career path advanced him to positions of regional responsibility in Europe, Asia and Latin America notably as International Account Director with SSC&B:Lintas (now Lowe Lintas) and Regional Client Services Director Asia-Pacific then Latin America at Grey International. His business category experience has been as diverse as laundry and household cleaning, food, retail, tobacco, personal & hair care, alcoholic beverages, banking & finance, consumer electronics, cosmetics and more. He has collaborated closely with premier international companies such as Corn Products, Bristol Myers, British American Tobacco, Henkel, Philip Morris, Philips, Procter & Gamble, R.J. Reynolds, SmithKline Beecham, Stella Artois, Unilever, and leading local marketing companies to help them craft strategically- oriented growth programs. A UK citizen, Cedric has lived in no less than 18 countries, so that he is fluent in English, French and Spanish with good conversational knowledge in several more and acute sensitivity to cultural differences and commonalities. Vicky Cheng has 14 years experience in International and Multicultural Advertising, and the Asian American Community Outreach. She carried out major roles in media, advertiser and agency for the global Chinese market. For six years, Vicky was the Co-Director of the Business Outreach Center, a seven-office network assisting multicultural businesses in New York to resource technical assistance. Because of her dedicated work, she helped to create thousand of jobs for New York State. She also hosted the first entrepreneur-training course targeting new media businesses in the metropolitan area. With her community outreach capability, she also assisted Fleet Bank to successfully develop the Asian American market. Ms. Cheng has an in-depth understanding of marketing tactics for both sides of Pacific Ocean for the global Chinese market. She contributed her talents to ToTo Communication Group New York, Regal International Advertising Inc. (DDB Needham Worldwide affiliate) Taipei, to serve multinational clients. In addition to the traditional media, she was also involved in new media development since the early 1990's with Edwin Schlossberg Inc. and Sina.com. Ms. Cheng was born in Taiwan and has lived in New York since 1989. She received her Masters Degree from New York University, Interactive Telecommunications Program. She is fluent in Mandarin, Taiwanese and English. A distinguished creative career with 40 years of experience in international advertising, having been successively Worldwide Creative Director for McCann-Erickson and Lintas Worldwide. He joined the parent company, Interpublic, as Director of Creative Communications. Barry has mastered the skill of transferring creative concepts across countries and cultures. He is comfortable working in the widest range of countries, too. In addition to outstanding and sales-effective advertising, the industry has recognized his contributions in awards, creative jury presidencies and key speaking roles. He served 10 years as the IAA Creative Director where he devised and produced communications campaigns - "The Case for Advertising" and the volunteer appeal, "Give a Kid a Hand" - which currently run in over 200 countries and territories. Barry was the political communications adviser to British Prime Ministers, Edward Heath and Margaret Thatcher. And, he is a published author. Frederic V. Farcy is CEO and Chief Technology Officer of CarbonMedia a software and web services company that he co-founded in New York in 1996. Under his leadership CarbonMedia averaged 1,600% growth over five years and was selected 3 years in a row (1999, 2000 and 2001) as one of the winners of Deloitte & Touche's NY Fast 50 program, recognizing the 50 fastest growing companies in New York. A specialist in database programming and design and in deployment of networking and telecommunication solutions, Mr. Farcy also oversees CarbonMedia's technology development. Prior to co-founding CarbonMedia, Mr. Farcy founded Farcystems, Inc. (created in NY in 1988), a networking and telecommunications consulting company. Organizations he has worked with on technology issues include the French Government, Time Warner Cable, France Telecom North America and the International Advertising Association (IAA). He has also conducted technology consulting/implementation missions for multinational groups such as the Banques Populaires Group (an $80 Billion French Banking Group), Broadcast Architecture, AMFMI and AT&T. Frederic Farcy is an expert in computer security management. He has written several white papers on the topic, has given numerous talks and interviews pertaining to security over the Internet and was featured with such leading media as C-NET Radio, The I-Publishing Conference, and MicroTimes. Mr. Farcy was born in France and has lived in New York since 1981 (he has dual citizenship). He holds a B.S. in Math & Computer Science from New York University. Doug Feltman is a highly experienced CFO with substantial operational management who has successfully navigated from large public international advertising agencies to entrepreneurial start-ups in cable TV, and Internet companies. He has in-depth knowledge and hands-on work with development and implementation of strategies to build/grow businesses and improve bottom-line results. Most recently, he spearheaded the successful effort to raise $59 million of private equity for an agency to complete a diversified services acquisition program. Doug lived and worked in Europe, first as the senior tax manager for a top five public accounting firm and then as Young & Rubicam's European Financial Director. At Y & R he negotiated over 15 acquisitions. Later as Grey 's International CFO, he was directly involved in over 20 international and domestic acquisitions and then managed the integration in the new corporate culture. Doug was awarded an MA in Accounting at Ohio State and is a CPA. Ilan’s 35 year international career as a disciplined creative brand steward, includes stints at Ogilvy & Mather, Leo Burnett, Frankel & Co. (now ARC Worldwide) and other positions at regional American agencies. He lived and worked in Tel-Aviv, Jerusalem, Johannesburg, Paris, Los-Angeles, Minneapolis, Chicago and Des Moines. Throughout his career, he developed and created Corporate Identities, Advertising Campaigns, In-Store Displays, Packaging Design, Direct Marketing, Sales Promotion, Web Sites, and every imaginable strategic branding solution for many of the world’s largest corporations, as well as for numerous smaller enterprises. His work has won over 100 creative awards. Some of his branding work included: United Airlines, Korean Air, Alitalia, McDonald’s, Coca-Cola, Visa, Ford Trucks, The Chicago Tribune, SA Breweries, Panasonic, Nestle, American Express, Unilever, Kodak, HP, Seagram, Shell, Sears, Citibank, and many more. Currently, Ilan is on the Faculty of the University of Chicago and De Paul University. He also conducts seminars, training sessions on branding, and other marketing topics for corporations, international ad agencies, professional associations and educational institutions in Europe, Latin America and Asia. Ilan earned a BFA in art and design as well as a Masters in the same creative disciplines. Has been practicing law and otherwise involved in legal-business affairs for over 42 years - ranging from private practice to government service to international corporate lawyering ,and counseling to teaching. He served in the U.S. Department of Justice Antitrust Division for eight years in a series of senior positions. 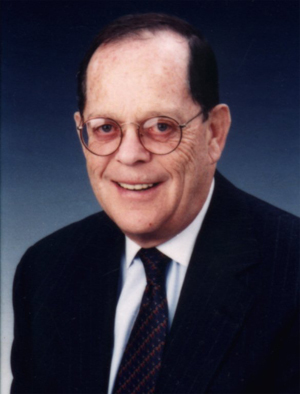 His unique international experience was acquired as Senior V-P and General Counsel, Hertz Corporation with responsibility for all aspects of legal (advertising, licensing and public affairs) and the conduct of governmental relations worldwide. (1972-1986). Irv joined the GAF Corporation as Sr. V-P, Secretary and General Counsel and Board Member. After leaving GAF in 1991, he remained a Member of the Board until 1993. Following initial retirement from active practice, he was co-director of the NYU School of |Law on Corporate Lawyering; developed and taught courses at Cardozo School of Law and the University of Pennsylvania School of Law. He is co-author of Corporate Legal Departments, 3d. Ed. Larry Levy is currently an advertising/branding consultant, drawing on 15 years of experience as VP Corporate Marketing and Communications at JP Morgan Chase, preceded by extensive advertising agency experience in Account Management and Media. At JP MorganChase, Larry was responsible for worldwide corporate branding, including two successful repositionings of the Bank, the first following the merger of Chase and Chemical in 1995, and the second after the Chase/JP Morgan merger. As Chase's Director of Corporate Advertising, Larry managed a 10-person department responsible for the development and execution of the Bank's worldwide advertising. During Larry's tenure, Chase's ad budget rose from $20 million to over $100 million, while annual earnings rose from $300 million to over $4 billion. Prior to Chase, Larry served as VP Management Supervisor at Grey Advertising, where he specialized in package goods, managing such brands as Kool-Aid and Post Cereals (Kraft/General Foods), and Wonder Bread and Morton Frozen Foods (ITT Continental Baking). His accomplishments also included four successful new product introductions. Larry is on the Board of Directors of two major trade organizations - the International Advertising Association (where he serves as Treasurer) and the Financial Communications Society (past president). Elaine Mancini, Ph.D. has extensive experience in image campaigns, issue management, public relations and public affairs for countries, associations, foundations, and corporations. She has developed marketing communications plans, handled crisis communications, launched new products, achieved massive publicity, written white papers, conducted media training, and managed multi-country programs. Dr. Mancini has represented many foreign companies and governments, including Indonesia, Malaysia, the People's Republic of China, Jamaica, Greece, the Czech Republic, Switzerland, Taiwan, Romania, and Turkey. She earned her Ph.D. from New York University and received the Key, Pin and Scroll Award as Outstanding Female Graduate in the Graduate School of Arts and Sciences. As a Fulbright scholar, she taught at the University of Bologna in Italy. She has worked for extended periods in Rome and Vienna as well. Ms. Mancini was named Woman of the Year 1999 by the American Biographical Institute. She is listed in 2000 Outstanding Intellectuals of the 20th Century, International Who's Who of Professional and Business Women, Dictionary of International Biographies, and 1000 Leaders of World Influence. She serves on the 20th Congressional District's International Trade Advisory Committee led by the Honorable Benjamin A. Gilman, Chairman of the House of Representatives' Committee on International Relations. A well-established, well-known and distinguished marketing communications professional in Scandinavia and his home country of Denmark, Donald has over 40 years of experience. He has worked for leading advertising agencies - first a national Danish agency, later as Deputy Managing Director of FCB and then Donald established his own agency in 1980 reaching #10 in the market. Finally, the office joined the Euro RSCG International network. He has in-depth involvement with all communications disciplines and specialized in large clients within Scandinavia and international markets. Donald's strength is the examination and evaluation of problems/opportunities and then conversion to effective strategies and implementation. A consummate educator, too, he is the head master of the IAA Diploma program training the next generation of marketing professionals and the President of the IAA Denmark Chapter. Donald is also Chairman of the advisory board of the Danish Marketing Association. All of that underpinned by degrees In marketing and organization from the Copenhagen Business School. Nkechi has a special affinity to the African continent and an urgent desire to help make it a better and competitive society in our global economy. She specializes in Conflict Resolution, Africa in World Affairs and Diplomatic Negotiations. She is a results-oriented professional who has acquired excellent track records in research work relating to ECOWAS/ECOMOG in Conflict Prevention in Africa and Political Socialization of Women in Africa. Her International background as a naturalized American citizen of Nigerian origin enables her to communicate effectively cross-culturally on a wide array of issues. Nkechi's diversified experiences make her an important member of Vale international because she has the capacity to collaborate with a wide range of people from diverse settings who care about countering the real-life effects of our emerging world problems. She has a BA from Lehman College, CUNY in Political Science and earned a Master of Arts from City College in International Relations. Eugene Secunda, Ph.D. is a consultant and educator with 37 years of experience in virtually every aspect of marketing communications in U.S. and throughout the world. He is now a Professor of Marketing and Media Studies at New York University. Prior to assuming to this post, Dr. Secunda served as Director of Corporate Communications of Central European Media Enterprises Ltd. (CME). He was a key member of the management team that launched and operated eight privately owned national television stations reaching 100 million people throughout Central and Eastern Europe. Dr. Secunda was President of Barnum/Secunda Associates, a New York-based marketing communications agency specializing in the health care and new electronic technologies industries prior to his consulting and academic associations. During this time, he played a strategic role in the launch and operations of a number of global syndicated television, cable TV and pay-per-view companies. Earlier, he was a Senior Vice President and Director of N.W. International's corporate advertising and public relations division, supervising offices throughout the U.S. and Europe. Before joining N.W. Ayer, he was a Senior Vice President and Founder/Director of J. Walter Thompson's Entertainment Division. This division provided advertising and related marketing communications services to a wide array of mass media, entertainment and leisure industry clients, including 20th Century Fox Film Corporation. For more than 20 years, Markus has been on the cutting edge of marketing with an in-depth range of experience from brand management to publishing to consulting to entrepreneurship. As an advertiser he acquired unique perspectives during his years at Kraft Jacobs Suchard (now Kraft Foods) and Group Danone in a senior marketing role handling those companies' largest brands, nationally and internationally. That foundation enabled him to hone his skills in his dramatic career trajectory. From 1996, Markus has been managing two well known consulting firms that specialize in marketing communications. In both entities he was a founder and managing partner. The client list is first class with diverse assignments from Deutsche Bank, Microsoft, Siemens, Tui, Twentieth Century Fox and more. He pioneered several interdisciplinary approaches which have been successfully implemented for the clients. In recent years Markus became a communication and media consultant with a unique approach to analyzing advertisers' media strategies, plans and buying implementation. Currently resident in Munich, Markus holds a Business Administration Degree with first-class honours. He is a regular author in several marketing and advertising journals and comfortable working in English & German.